Knock Knock sees new companion Bill deciding to house share with her student friends. It looks like the perfect house, so there’s nothing to worry about, even though it’s surprisingly cheap, and the Landlord is a bit strange. The Doctor believes something is very wrong here. As the wind blows and the floorboards creak, there’s also a tower in middle of the building, but why doesn’t there seem any way to get inside it? The fourth episode of Doctor Who’s tenth season, Knock Knock, is a terrifically eerie, atmospheric tale, written by Doctor Who newcomer Mike Bartlett (best known for the BBC hit drama Doctor Foster and his Olivier award-winning play – King Charles III), and the episode is directed by Bill Anderson. 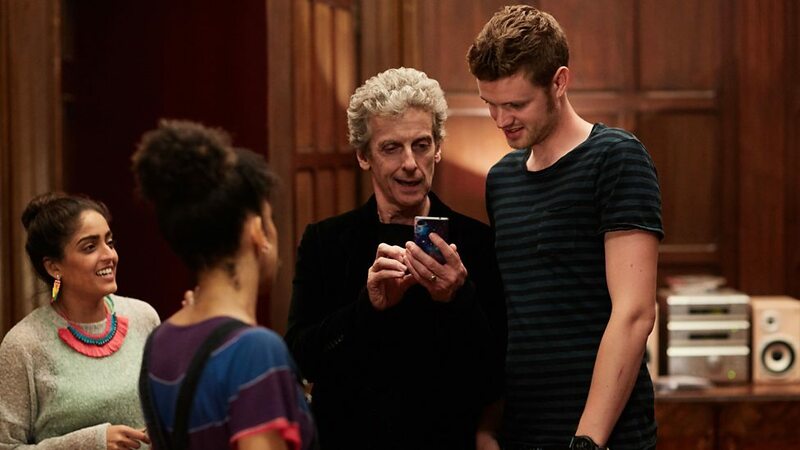 Peter Capaldi and Pearl Mackie continue their adventures as the Doctor and Bill, as they explore the mystery of this house where the trees begin creaking, even when the wind doesn’t blow, and the floorboards move and seem to have a life all their own. Legendary British actor David Suchet (Poirot) also guests stars in this episode as the mysterious Landlord, a strange, disturbed man, who guards a terrible secret. For such a surprisingly spooky episode, Knock Knock begins innocuously enough, as Bill, along with five of her friends attempt to find somewhere they can live. Following some disastrous, and rather hilarious viewings, they finally settle on affordable digs in an old house offered by the Landlord. But outdated sockets and poor mobile signal reception are just the start of their problems, in this house, with its creaking floorboards and woodwork, peculiarly freaky drafts, and tower that’s off limits to all tenants. As night falls the spooky happenings in the house close in and its time for Bill’s oddly cool “grandfather” to help them out. The Doctor is soon on the case with Bill and her friends to confront the Landlord and the dark mystery lurking in the house, and Time Lords suspicions are soon confirmed. It seems the building is eating people, Bill’s friends start disappearing, there are weird alien woodlice creatures inside the walls, and why is the Landlord so protective of his daughter’s well-being? Knock Knock masterfully builds the chills and thrills, and the intricate plot certainly gives our little grey cells plenty of food for thought as well. So, when the woodlice creatures begin to emerge and the Landlord reminds them that they’ve signed the contract and “its time to pay…” it heightens the palpable sense of horror and mystery surrounding him and the house even further. Even though the plot separates them for a time, the charisma Peter Capaldi and Pearl Mackie brings to the Doctor / companion relationship still shines through and just seems to get better and better with every episode of series ten. The addition of Bill ‘s friends Shireen (Mandeep Dhillon), Harry (Colin Ryan), Paul (Ben Presley), Felicity (Alice Hewkin), and Pavel (Bart Suavek) in this episode also gives added depth to her character as well as their perfect student house-share becomes a nightmare for them. 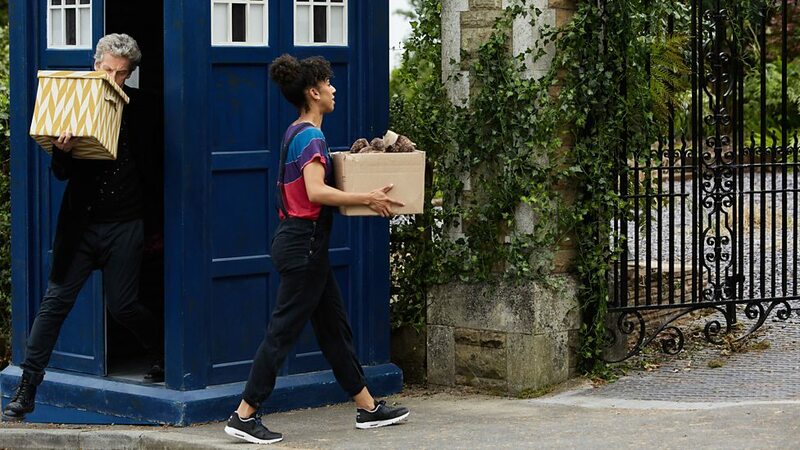 Its great to see the Doctor becoming part of Bill’s everyday life too, he even helps Bill move in, and gets to know her friends! Matt Lucas only appears as Nardole for a short scene, which leads to a pivotal moment in the ongoing Vault story-arc for the Doctor. The Time Lord seems to know who is inside the Vault, and whoever they are they seem to share the same taste in music – specifically Beethoven. Of course, it goes without saying that David Suchet is superb as The Landlord, an awkward, unsettlingly pallid looking character who prowls around the house with a tuning fork and touches the walls in a bizarre manner. 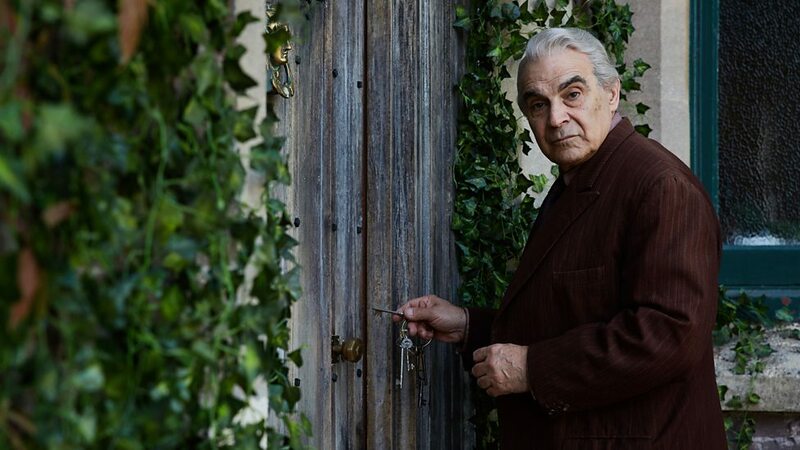 The genial, yet coldly menacing Landlord is the primary villain in Knock Knock, and David Suchet’s marvellous performance makes the character as chillingly disconcerting as he is tragic, and his scenes with Peter Capaldi’s Doctor are simply magnificent! 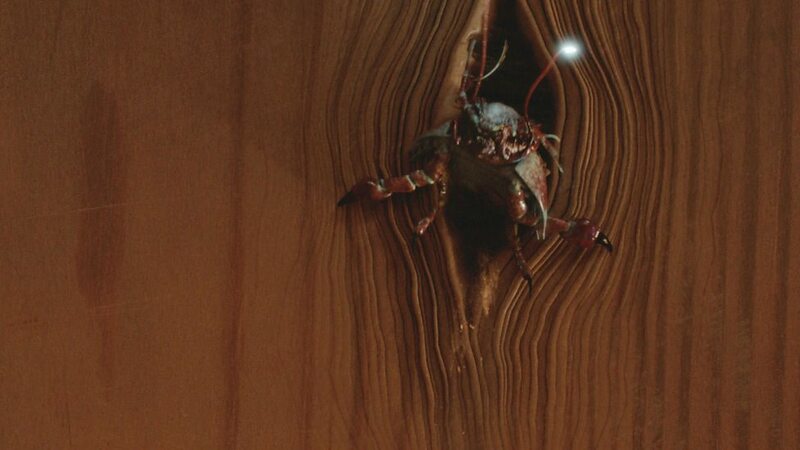 The unsettling, giant woodlice creatures attracted by high-pitched sounds that emerge from the woodwork are alien insects of an unknown origin. They can interact with wood on a cellular level and hide in the Landlords’s creaky old house, waiting to strike on then unsuspecting human victims he’s lured to stay there over the years. Even the Doctor, who christens them “Dryads”, hasn’t seen anything quite like them before. However, the main monster in Knock Knock is the gangly female creature Bill and Shireen find in the tower. Eliza (Mariah Gale) is the Landlord’s “daughter”; she has been quarantined here since she grew gravely ill. The alien woodlice infecting her wooden body are keeping her alive, her tragic circumstances have left her terribly lonely and isolated, and Eliza has no idea about the innocent people the woodlice have consumed to preserve her own life. There are plenty of pop culture references to look out for, including Indiana Jones, I’m A Celebrity, Get Me Out Of Here, and even Scooby Doo. Knock has the distinction of being the first Doctor Who story to be made available in binaural 360 soundscape, and subsequently released on the BBC iPlayer after the standard episode had aired on BBC One. The exterior location used for the Landlord’s creepy house in Knock Knock were filmed in the same location in Newport, South Wales, used for the Wester Drumlins, scenes in Stephen Moffat’s 2007 episode Blink – the story that introduced the iconic Doctor Who monsters The Weeping Angels. When Bill moves into her new room, she refers to events in The Pilot, Smile, and Thin Ice as she talks to her mum. The Doctor also states at one point that, “Sleep is for tortoises!” Something he remarked upon The Talons of Weng-Ching (1977). The Doctor also mentions a “Klarj neon death voc bot” at one point, perhaps a vague reference to a variant of the voc robots seen in The Robots of Death (1977)? The episode Knock Knock has enabled David Suchet to fulfil his wish to appear in Doctor Who, he’s also worked with Peter Capaldi many times before, and Peter Capaldi guest starred in Poirot – ‘Wasps Nest’ in 1991. In a surprise turn of events, the Doctor and Bill eventually discover that Eliza is in fact the Landlord’s dying mother. He found a box containing the woodlice under a tree in the garden when he was a young child and used them to keep her alive. Tricking people to stay here so he could feed the woodlice and keep her alive, his mother remained youthful, though her memory clouded and her body transformed into wood, while he grew old as they’ve lived together in the house for seventy years. The conclusion of Knock Knock wraps everything up in a convincingly satisfying manner when Eliza finally learns the truth. She takes control of the woodlice, persuading her son to accept their fate together, whilst freeing the Doctor, Bill, and her friends as the house crumbles away. Mike Bartlett’s suspenseful first foray into Doctor Who with Knock Knock is a Sci-Fi / Old Dark House mash-up of the highest order. With its brooding atmospheric setting and sets, this is easily the darkest episode of the series so far. Its jam packed with horror film clichés, thrilling excitement, humour, great special effects, and Bill Anderson’s taut direction gradually builds the action and scares right up until the end. 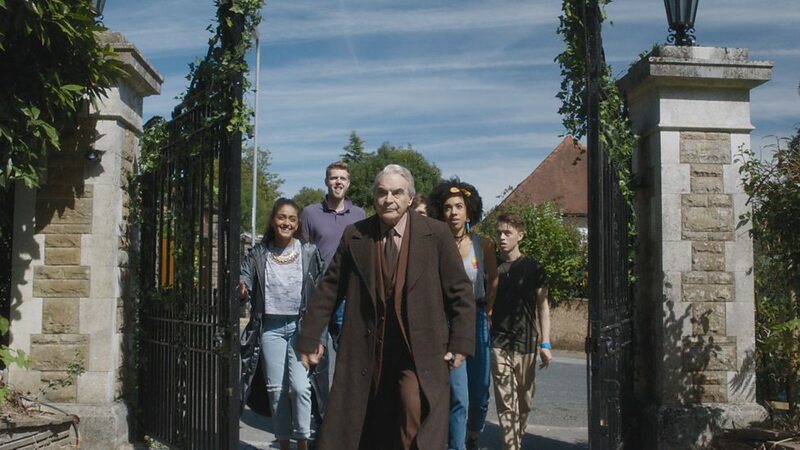 Knock Knock continues the strong run of stories in series ten, the mystery of The Vault continues to build significantly in the background, and there’s a real sense now that we are on course for a truly outstanding season. BEST. Doctor Story Title. EVER. Q: How come they never used it sooner?! Nice review Paul, this was certainly an atmospheric and unsettling episode but I think we’ve certainly had scarier Who outings (anything with the Weeping Angels in!). I’m enjoying the new series but really starting to miss the grander two-parters we had in series 9 – at least we’ll get that at the end of the series with classic Cybermen to boot! Thank you, glad you enjoyed the review. I liked this episode as well, nice an creepy, and some good characterization. 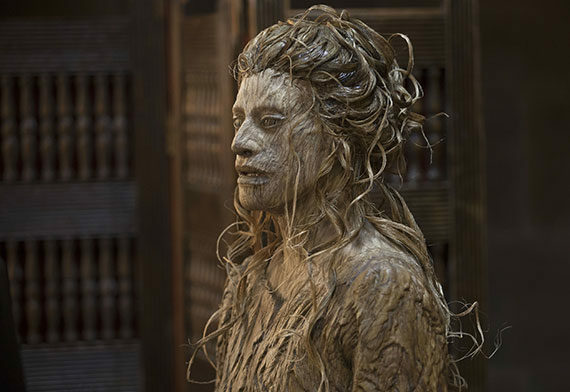 I agree, the Weeping Angels are a lot more scary, but I liked the creepy / tragic element with Eliza and the Landlord in this story. The two part stories are fun, enjoyed those last season as well. Look out for episode 6-8 in series 10 though, as they form a loosely connected trilogy, so that will be a much larger scale story. I can’t wait to see the Mondasian Cybermen return as well too, that will be an epic return for a classic Doctor Who monster! Ooh didn’t know that about ep’s 6-8, cheers Paul! I thought this was a great episode. Great atmosphere, story and was pretty creepy at times. Another great review Paul!